We Know the New Female Thor’s Secret Identity! Cover of Thor No. 8. Art by Russell Dauterman. … Jane Foster! That’s right, as revealed in tomorrow’s issue of Thor, it turns out Thor’s longtime companion (played somewhat memorably on the big screen by Natalie Portman in Thor and Thor: The Dark World) lifted the mystical hammer Mjolnir after a still-mysterious incident rendered Thor unworthy of wielding it. Since then, he’s been battling Frost Giants, Dark Elves, and international oil magnates. But there’s a catch: She’s also battling breast cancer. When she lifts the hammer, she becomes a superpowered god; when she’s not using it, she transforms back into her weakened mortal self. What’s more, it appears that the magic transitions are making her condition worse. 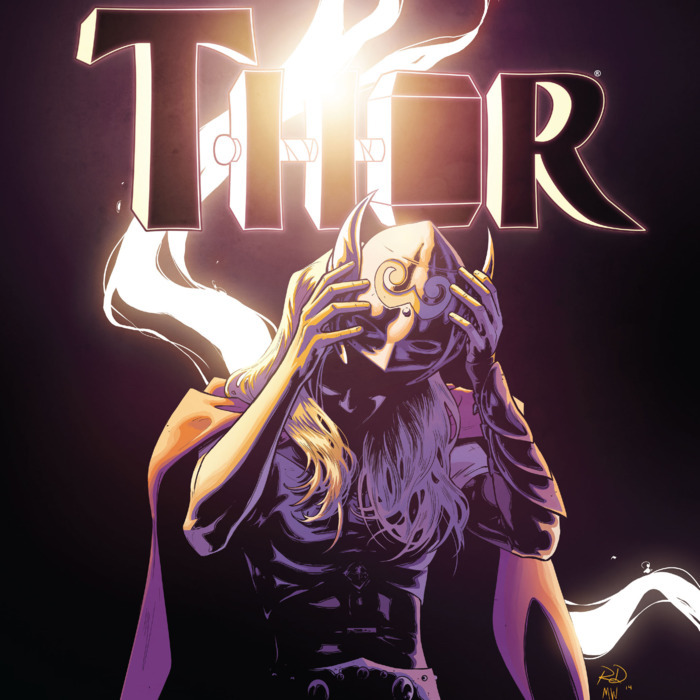 Thor is taking a little break and will be replaced by a miniseries called Thors (in which a squad of Thors from parallel universes become an interdimensional police force, because comics), but Jane-as-Thor will figure prominently there and still has many secrets to unveil. 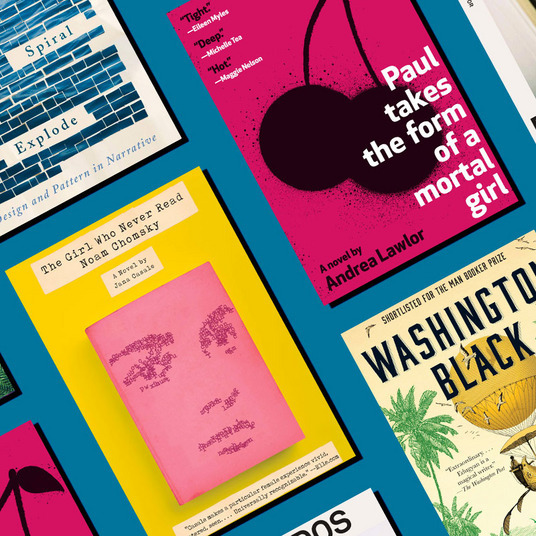 We caught up with Aaron to talk about Jane’s revelation and what it means. How relieved are you now that you don’t have to keep mum around everyone you know? It’s good. It’s good for the secret to be out. If anything, I’m not getting text messages from my mom anymore demanding to know who Thor is. Your mom was legitimately on pins and needles? Yeah, my mom was very impatient. She was always trying to trick me to get me to tell her. I was steadfast, though. I wouldn’t even tell my own mother. That’s true commitment to continuity and publishing schedules. Well, the word leaks, you know. I don’t know who my mother talks to. When did the decision happen to turn Jane Foster into Thor? Was there ever talk of someone else wielding the hammer? No, I think we only ever really talked about Jane. It grew out of the idea of the previous Thor becoming unworthy, which was something I was always building toward. I liked the idea of dealing with his worthiness and the idea of what it means for a god to be worthy in the Marvel universe. You know, the god of thunder waking up every morning and looking at the hammer and not knowing if he’s gonna be worthy to lift it. Then, of course, one day he should wake up and not be able to lift it. That opened the door for someone else to pick up the hammer and carry it around in his place. Really, the only character that was discussed was Jane. You really didn’t consider anybody else? Nah. I mean, it was never just about the surprise or the mystery. Clearly I’ve had fun playing with that part of it over the course of these eight issues [since we introduced the new Thor]. But that’s really all just setup for the real story. And Jane was the one I had a story with, whose story I wanted to tell. Thematically, what do you think is the significance of having Jane Foster be Thor? 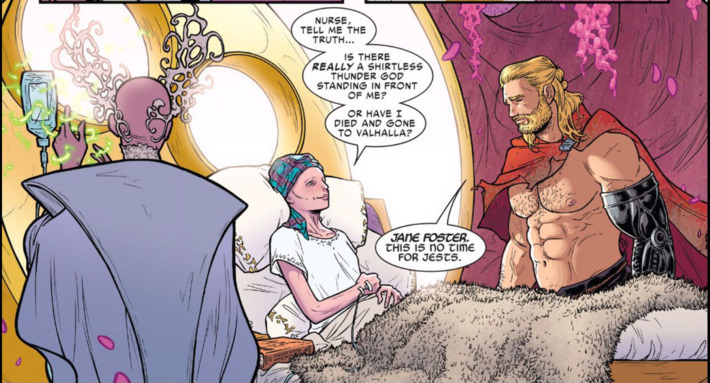 Jane’s been a part of Thor’s universe going back almost to the very beginning. She was the initial love interest for Donald Blake, who was Thor’s alter-ego [in early Thor stories]. She was the nurse to his doctor. She’s grown and changed and evolved a lot over the years, become a doctor in her own right. So this to me is not just the next step for her character, but really the next evolution of the core promise that has always been at the heart of Thor’s mythology. You go back to those very first issues [from the 1960s], and they’re about this disabled doctor, Donald Blake, finding a strange hammer, and when he picks it up, it transforms him into the mighty Thor. That promise of transformation has always been a part of that hammer. Even though we’ve changed the person who’s holding the hammer, it’s very much a Thor story, a story that begins the next step for that promise of transformation. Interesting. The whole Donald Blake double-identity thing had really disappeared from the Thor mythos in recent years, so Jane is kind of bringing us back to the original concept. Yeah, that’s an ambitious thing to do in 2015! No, I’ve hardly ever done it. But it was fun being able to dive into her head a little bit. And the upcoming Thors, plural — was that idea given to you? Was it your pitch? I think it came from Jonathan Hickman. [Note: Hickman is the mastermind behind this summer’s massive, company-wide Marvel crossover Secret Wars, of which Thors is a major component.] Probably more than a lot of the other Secret Wars tie-ins, this one’s pretty firmly rooted in Jonathan’s story. Are you a fan of Top 10, Alan Moore and Gene Ha’s superheroes-as-cops series from the early ’00s? Yeah. I’m a big crime-drama guy, and I like cop TV shows — Homicide: Life on the Street is one of my favorite shows ever. If anything, this is me trying to do an episode of Homicide, just instead of Bayliss and Pembleton, it’s Ultimate Thor and Beta Ray Bill. Famously, the announcement of a female Thor came on an episode of The View, of all places. Did you have any say in that? No, that was Marvel’s PR department. They get credit for that one. How did you feel about how it went down? [Laughs.] I was actually at Marvel the day that aired, so I’d never really gotten to see it. I just knew at some point that day, everyone’s phone started blowing up, and my Twitter was blowing up, and suddenly we were getting pulled out of the room to do interviews. I got to sign a copy of Thor for Whoopi Goldberg, so that was cool. We Know the Female Thor’s Secret Identity!